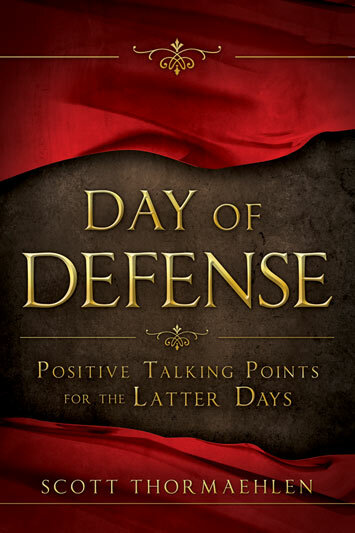 Welcome to the official website of author Scott Thormaehlen and the book Day of Defense: Positive Talking Points for the Latter Days. As the Church comes out of obscurity, members find themselves and their beliefs under a microscope. 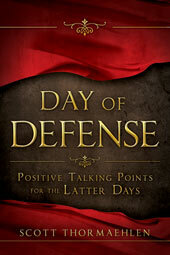 Day of Defense walks you through many of the stumbling blocks and confusing topics today’s saints encounter when discussing their religion. Answer difficult questions with confidence and address complicated doctrine without missing a beat as you reaffirm and refresh your beliefs upon reading this book. To be released May 2013! Congratulations Scott! I will be purchasing your book…..and look forward to seeing you again soon so we can catch up on our mutual activities. Thank you John, I appreciate it! I am living in Utah for the time. Might head to Texas at some point for grad school. Hope everything is going well for you!